Don't you wish you had a Butterfly or Butterflies on your wall? This is one of my most favorite ideas I ever came up with. 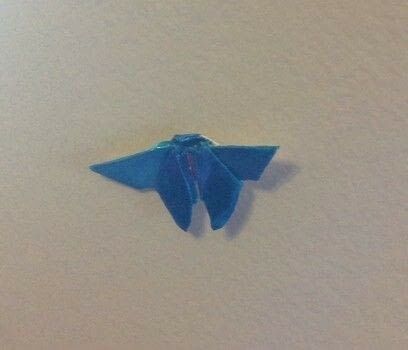 I was making them for a special project I'm working on, but I might put these all over my room. They remind me of The Dragon Queen's Believix Spell "Elemental Harmony". I might post a picture of the spell soon. First you need to make your origami butterfly. 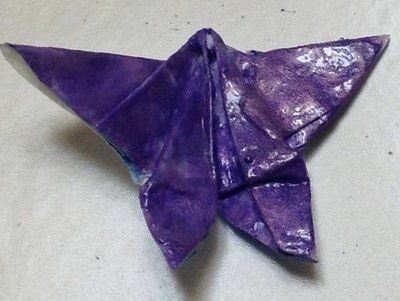 Find a tutorial to make an origami butterfly. 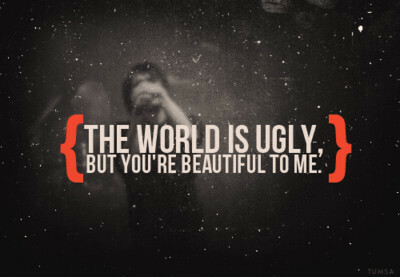 I do not own the picture being used, it is just an example. 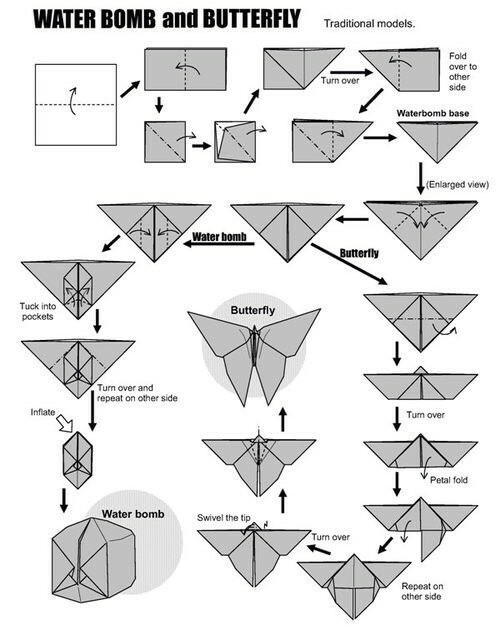 Take your tack and if you can, put it under a fold in your Origami butterfly, you may need a pin to help you make the hole.